Polis or Polis Crysochous is a small town and seaside resort in the North-Western part of the island of Cyprus, on the coast of the Bay of Chrysochou. In your Polis there is no airport, the nearest airport is in Paphos (Paphos international airport). For this reason, most tourists wishing to spend their holidays in Polis arrive in Paphos. From Paphos airport can be reached in the Polis: direct public bus, taxi or car. From Paphos city centre to Polis is by direct bus, taxi or car. The bus will take you to the bus station Polis Bus Station. 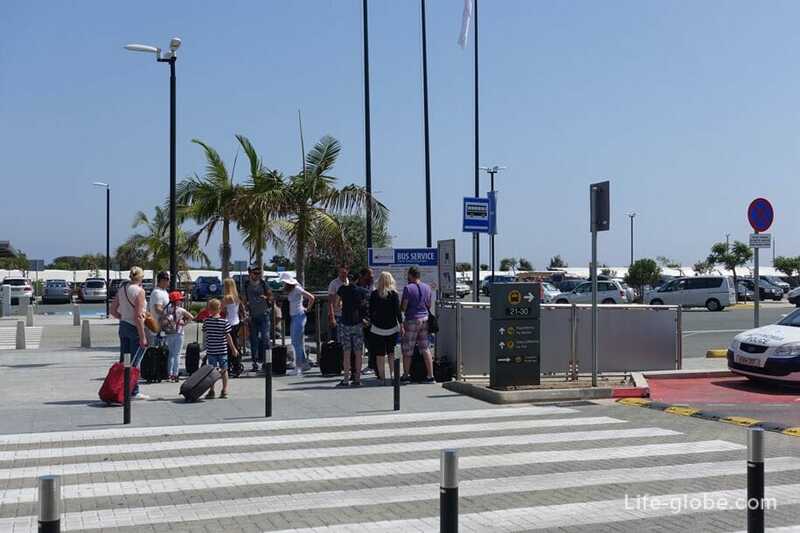 From Paphos airport there is a direct public buses to the Polis, as well as from Polis to Paphos airport. 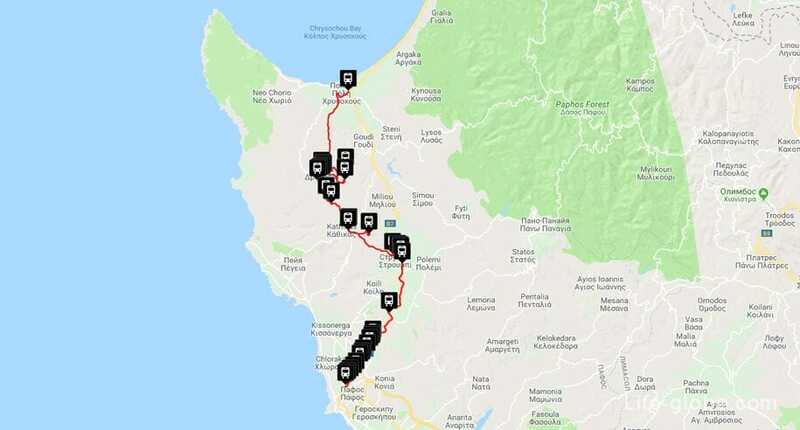 The bus route 649: Polis Chrysochou, Chrysochou, Goudi, Choli, Skoulli, Giolou, Stroumbi, Tsada, Mesogis Av., Demokratias Av., Geroskipou (Makariou Av. ), Acheleia, Timi, Paphos Airport. - from Polis to Paphos airport: 17:30, 19:00, 21:30, 23:00. The fare is 1.50 Euro. Luggage and tax included in the ticket price. Free travel for children up to 6 years. 50% discount: holders of European youth card; children up to 12 years; students 13 to 18 years, presenting an identity card or identity card of the student; the owners of social maps of Cyprus. The payment is made to the driver upon entering the bus. Please make the payment with coins or denominations of 5, 10 and 20 Euros. Bus public buses stop at the airport of Paphos is located directly in front of the airport. Exit the airport, crossing a narrow carriageway, and immediately see the bus stop. From Paphos city centre to Polis from Polis to Paphos city centre can be reached also by taxi or public buses. 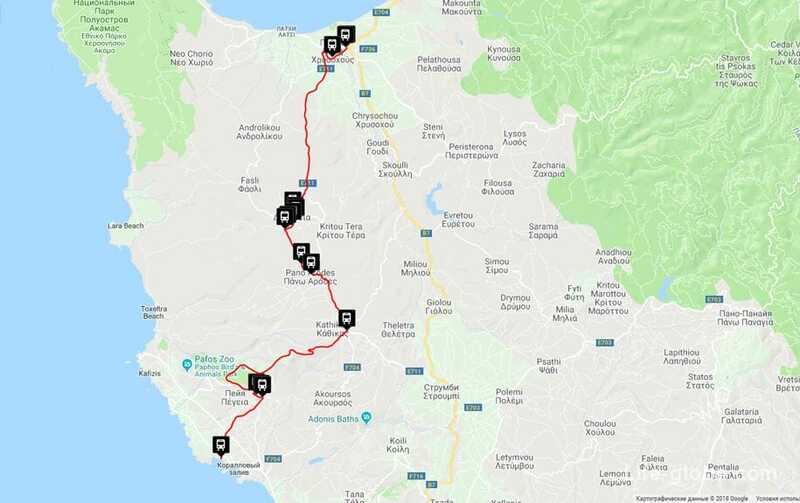 How to get from Paphos airport to Paphos town centre and on the contrary, we told you earlier, if necessary, to review the information here. From the centre of Paphos, from the main Karavella Bus Station, daily direct buses to the Polis. - on Sunday: 10:00, 12:00, 13:00, 14:00, 15:00, 17:00, 18:00, 20:00. - on Sunday: 9:00, 11:00, 12:00, 13:00, 14:00, 16:00, 17:00, 19:00. 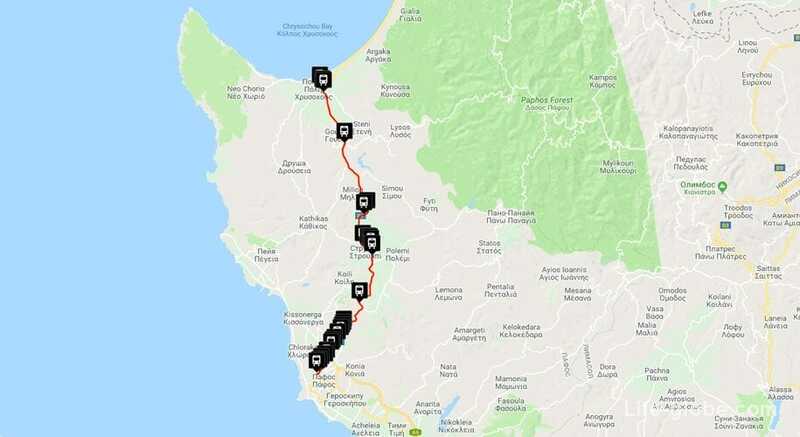 The bus route 645: Polis Chrysochou - Chrysochou - Goudi - Choli - Skoulli - Giolou - Stroumbi - Tsada - Paphos. - from Polis Chrysochous to Paphos: 07:20, 13:45. 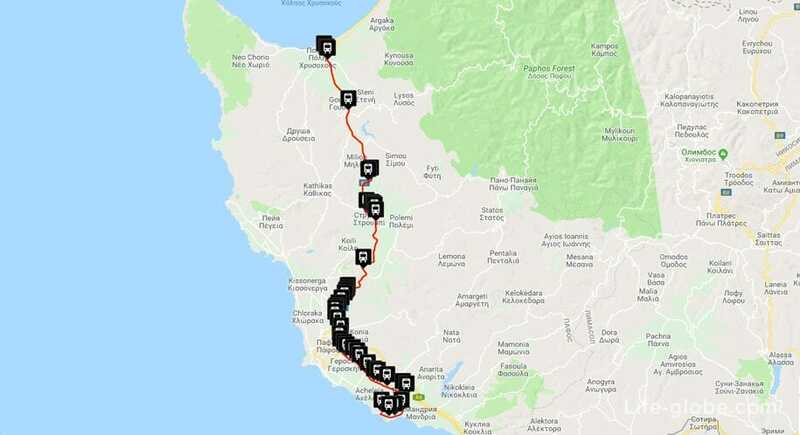 The bus route 641: Polis Chrysochous - Terra Kritou Terra - Ineia - Drouseia - Kato & Pano Arodes - Kathikas - Theletra in Paphos. From Coral Bay to Polis Shuttle bus No. 648. - from Polis Chrysochous to Coral Bay: 09:00, 11:00, 16:00. The route movement of the bus 648: Coral Bay (Corallia Beach), Peyia, Kathikas, Arodes, Inia, Droushia, Polis Chrysochous. From Paphos, the bus station, the Harbor (Harbour Main Bus Station), located in the centre of Kato Paphos to the Coral Bay beach there are daily public bus number 615. I go often, the fare of 1.50 Euros. Attention! The schedule of movement of public transport and the cost of the passages may vary. Please check before you travel.